Available to primary school students. All Australian children under 13 years of age are invited to join in. Participate via your school and/or from home. Pack Includes: Poster Pencil Up! 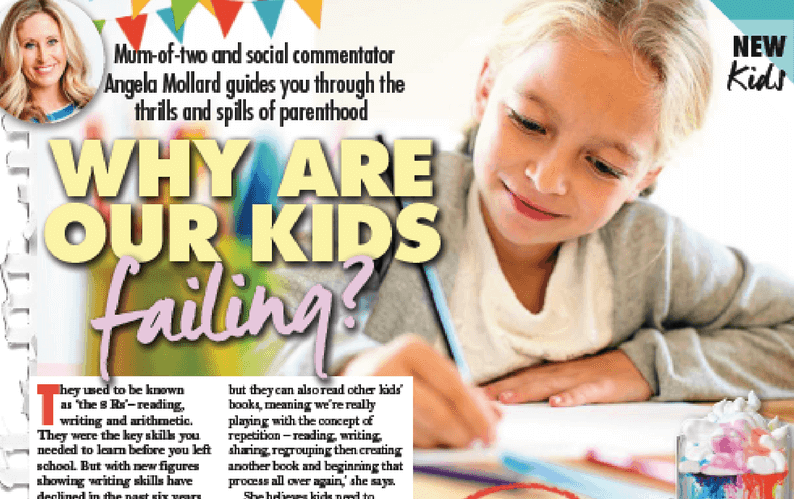 – Emoji Curriculum bullying – Book Bear Facts. 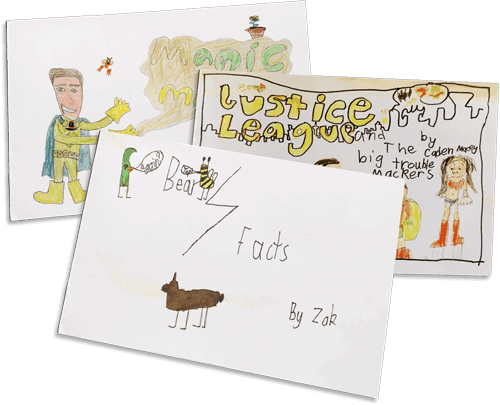 Our sample pack contains Bear Facts written by Zak, the Pencil Up! A3 poster and our Emoji Curriculum handout. Complete your details and we will send out your free pack. powering, inspiring, igniting, a love of reading, writing and sharing! Littlescribe unlocks learning from the classroom and brings it to life. Our free platform transforms handwritten, illustrated pages and creates digital and for 'real life books.' 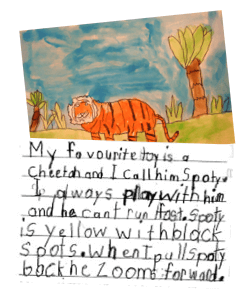 Our free activities inspire and reinforce, writing with purpose, for primary school students. Participate in 1 or all. TERM 2 - The Emoji Book! The emoji book! Students create an original emoji that communicates a feeling or emotion. Students must illustrate and describe the emoji and embed it into their story. Multiple emoji’s can be used in the story. Students create their own interpretation of an Australian Aboriginal Dreamtime story. 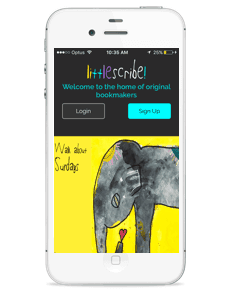 Littlescribe will provide online material to encourage and inspire and we encourage accessing other sources. The Dreamtime story must include a hidden message and moral to the story. Students have the opportunity to engage with a professional 'for real life' published author and co-write a book. 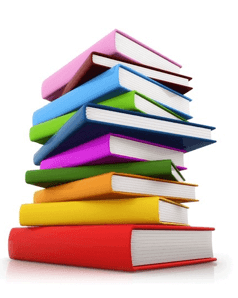 The author will write the beginning and students will complete the story. Students create a comic book or graphic novel. The character/s, illustrations and themes must be original and the creation of the author. It can be based around a class topic, theme or author. Students create a short imaginative, informative or persuasive book using their growing knowledge of text structures and language features. The student should choose and consider their audience. Please fill in your details to receive your PDF. Participate in as many programs as you like. Enter as many books you can write! Click here for complete terms of participation. Must be a 12-page book, (including front and back cover). Participant must be under 13 years of age as at the 31st December 2018 and an Australian resident. Participant must have guardian permission. You can participate as an individual or collaborate as a class or group. Your book must be submitted using the free Littlescribe app. Your book must be added before the activity deadline. Grab A4 paper + crayons. Now write and draw your original story! Use the littlescribe app to “snap and collate” your pages to create a book. Tap buy and we post a 'for real life' book. Enjoy reading and sharing it at school and home. For Australian primary school students aged 13 and under as at the 31st December 2018. * Note: Pricing is for a 12-page landscape or portrait book (includes a front and back cover). Each book is unique and the work of the student/s. We discussed, planned and each student wrote their own book. Yet – the magic moment was when the books arrived. This was when the light bulbs started going off for my students. 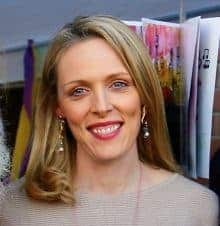 Lexi McDonald Co Founder – Teacher 10+ years.